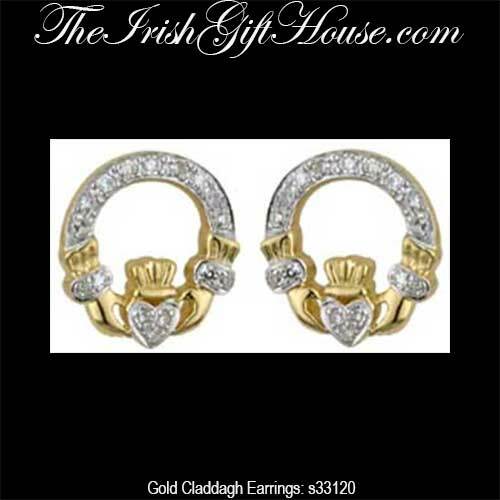 These Claddagh earrings are crafted in 14K yellow gold and feature diamonds studded in the white gold accented areas of the heart and cuffs along with the top of the ring. The 32 individually set round brilliant stones have a SI 1 -2 clarity and are G - H on the color scale with a total diamond weight of 0.15ct. 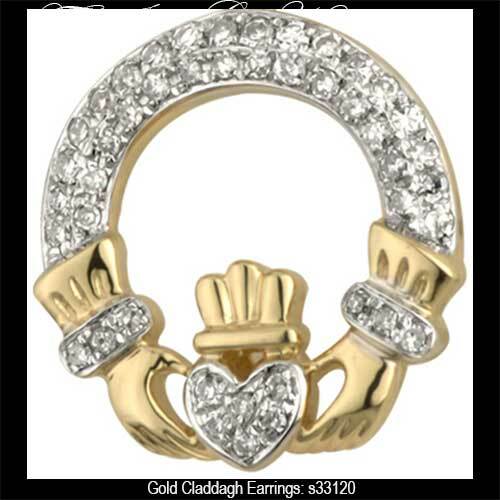 The gold Claddagh earrings measure 3/8" diameter.